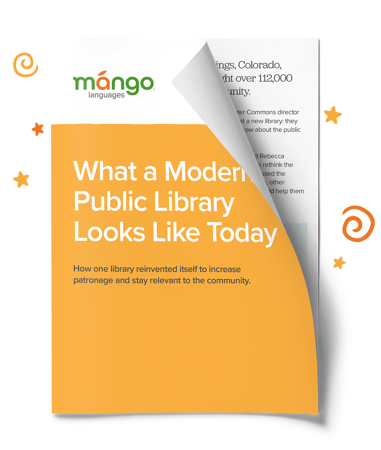 Mango for Public Libraries - The most-loved language and culture learning system among public libraries and patrons. The most-loved language and culture learning system among public libraries and patrons. 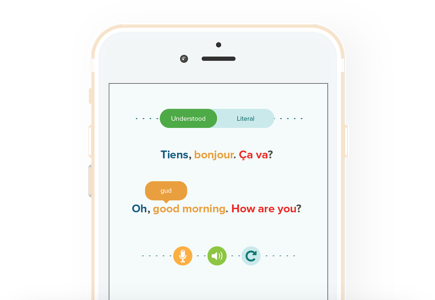 Mango Languages’ PhD-created, linguist-approved language-learning software teaches practical conversation in over 70 languages, while keeping the vibe fun and encouraging. With free mobile apps, hands-free learning features, progress tracking, and some seriously fresh marketing materials, it's no wonder Mango is the most popular language-learning resource in public libraries across the continent. 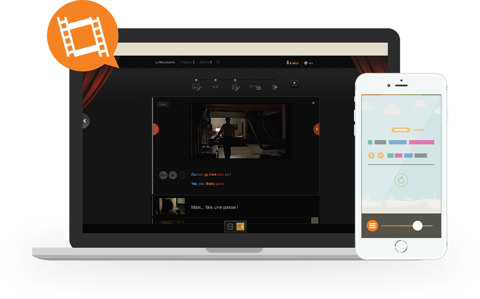 Serve nearly 100% of patron demand with over 70 languages. From Spanish to Swahili, English to Icelandic, and Shakespeare to Pirate, we've got virtually everyone’s language and culture curiosities covered. 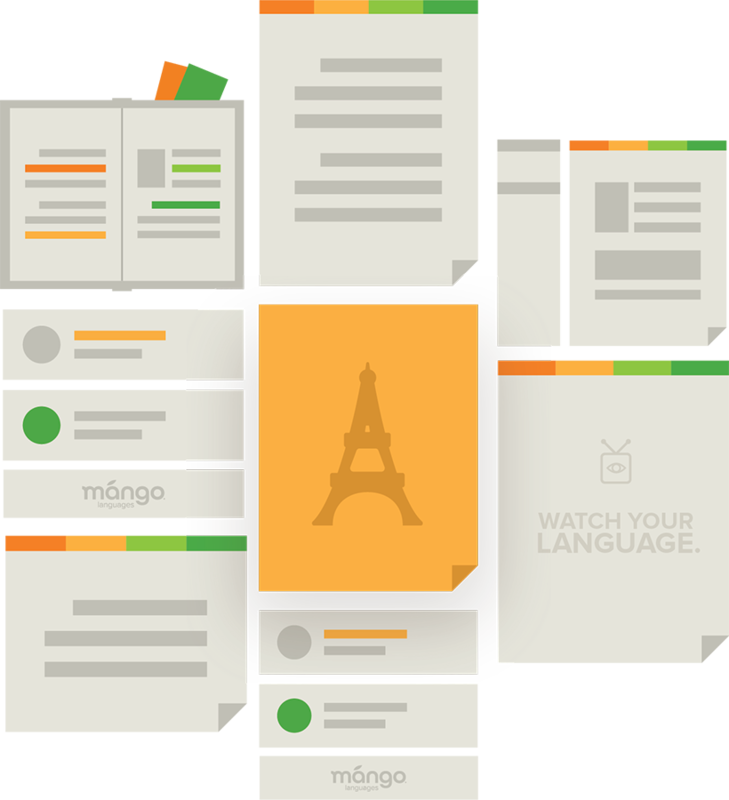 With Mango, your patrons no longer have to choose between learning how to say the Spanish, "estoy aprendiendo español," or the Croatian, "učim hrvatski." Keep your patrons' curiosities inspired by providing them access to over 70 world language courses and mobile apps that allow them to learn whenever, wherever their busy lives take them. Skills-focused English courses for your community of English learners. Learning English can be an enriching experience. Offering English courses is critical in ensuring your non-English-speaking population has a resource they can count on to help them make connections and feel welcome in their community. More than one in five U.S. residents speak a language other than English at home, and nearly 22 percent require development in their English skills. Libraries are perfectly poised to solve this challenge with Mango’s robust English course offerings, which offer a complete learning experience that’s easy to follow and fully narrated in your learners’ native language. Let us show you the unique differences in the way we teach English. Be everywhere your patrons are with Mango’s highly-rated desktop and mobile apps. More than ever, your patrons are turning to the convenience of mobile apps to stay on top of it all. Staying on top of vocabulary and tricky grammar rules of a new language is no different. Mango’s addicting apps rank us one of the highest-rated education apps out there among library patrons across North America. 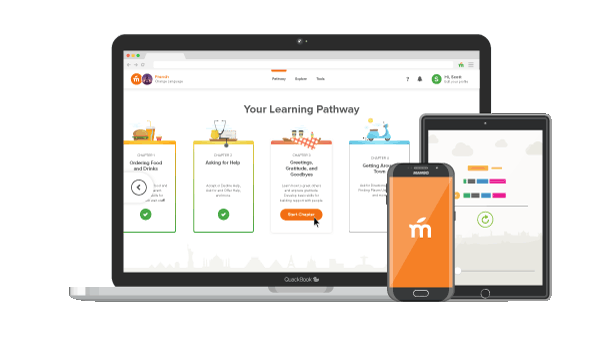 In 2015, Mango’s mobile app reigned supreme in usage over its desktop counterpart, showing a clear preference for a remote, anytime-anywhere learning experience. Our goal is to ensure that your patrons are walking through your doors because they crave a resource with functions and features that remain top-of-mind and ahead of the trends. Hit the ground learning with Mango’s headache-free integration experience. 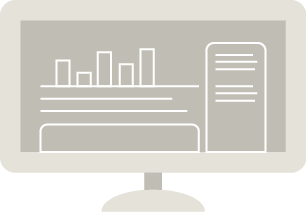 Begin working with your dedicated account representative immediately to help manage the process, from setup to launch and beyond. Concerned about usage? Need a little nudge on the tech side to get started? Wondering “What the heck is a ‘Mango Day’ and what can it do for my library?” We’re listening. 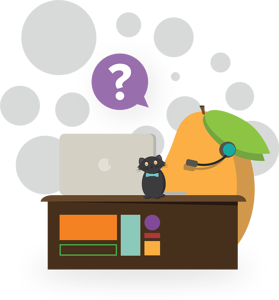 Sit back and relax as Mango’s customer support team handles all of your patrons’ technical and language-learning questions. Keep an eye on your library’s return on investment while managing every aspect of your integration. Mango’s Administration Portal gives your library in-depth usage reporting, patron feedback analysis, administrator management, content collection management, inclusion into Mango’s online library locator tool, and lots of other helpful usage-tracking functionality. 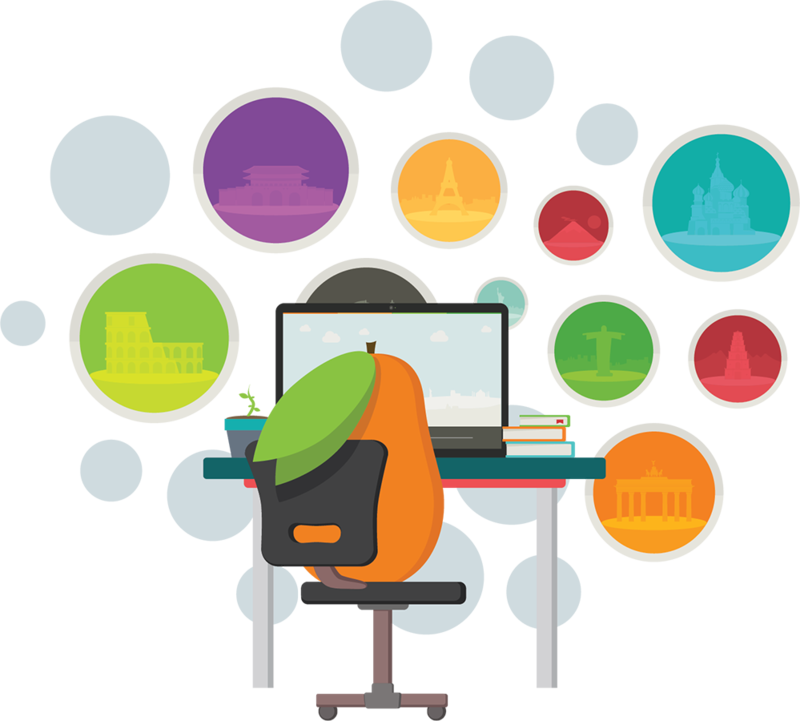 Paired with your dedicated account representative and Mango’s Library Advocacy Team, you’ll have everything you need to launch and manage a successful language-learning solution to your community. 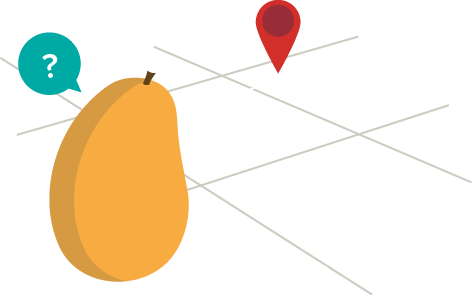 More than just a learning resource, Mango is also your promotions partner. Your resource investments won’t make sense if your community isn’t aware of your latest and greatest. Helping your new resource flourish is just as important to us as it is to your library. From community outreach and library advocacy, to resource promotion both inside and outside your library - we’re in this together. Your partnership with Mango gives you exclusive access to the freshest promotional items, our coveted Mango swag, specialized marketing assistance, exciting library event programming tips and tricks, and much more. Learn through conversations and film. Mango’s Ph.D-created courses train your patrons to think critically in a new language, which conditions their busy minds to retain what they’ve learned. When it comes to the language-learning content your patrons will encounter, we keep it real. They'll learn from conversations between native speakers in over 70 world languages or from our culture-packed films they might see in theaters in the country where their new language is spoken. As you know, librarians wear many hats. You're a teacher, researcher, artist and now, an advertiser. Want to know how you can channel your inner Don Draper to better promote the awesome offerings your library has? Read about what makes libraries an integral part of the community and how libraries have evolved. Mango for even the youngest language enthusiasts! We’ ve partnered with Little Pim® to create an online language learning system for ages 0-6. It’s the fun, easy, and effective way for kids to learn a foreign language! Little Pim's Entertainment Immersion Method® makes it fun and easy to learn. Kids love Little Pim, the animated panda who teaches each lesson. It’s fun for the whole family. Just like the rest of the Mango system, it’s accessible anywhere you get online, right through the library website! 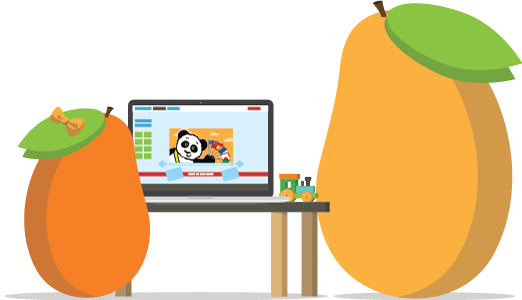 Little Pim® online is available as an upgrade to your Mango subscription. 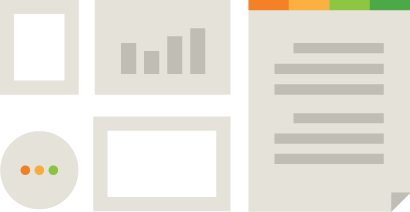 Want to stay on top of product updates, library news, and culture and language goodies? Sign up for our newsletter! 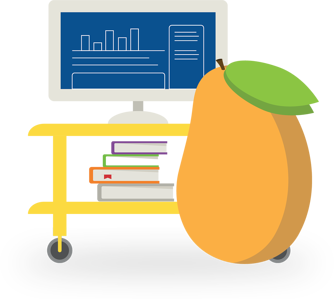 Want to learn with Mango through your library? Mango Languages is available to the lucky patrons of thousands of libraries across the country.